Through a last minute deal with the Greens the Scottish budget passed 67 for and 58 against. 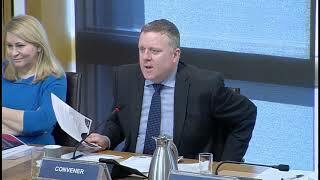 On Thursday, Members of the Scottish Parliament debated Scotland’s annual national budget. That afternoon, it seemed quite unlikely that the Scottish Government would be able to accumulate enough support to see it through; however, a deal was reached only minutes before the debates began. The Conservatives, Liberal Democrats and Labour ruled out their support for the budget proposals right from the beginning, mainly due to Scottish independence still being on the table for the SNP – something they would have liked to see change, albeit quite unrealistically. Despite this considerable lack of support from the opposition parties, the Government was able to secure a deal with the Greens shortly before the first vote. This means that the Greens will support the government across all three stages of the process. Of course, not everyone was pleased with the results of the negotiations. Scottish Lib Dem leader Willie Rennie stated on Thursday that the Scottish Government budget failed to deliver on issues of mental health, education and local government finance, highlighting a failure to scrap the council tax and a £50 million cut to social care. The Labour Party, after effectively preventing Alex Rowley from carrying out any form of negotiation with the government, has criticised the deal, mainly citing cuts to local services as a point of contention. 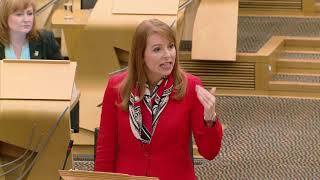 Green Party MSP for West Scotland Ross Greer was critical of Richard Leonard and Labour’s stance on the issue, highlighting their unwillingness to negotiate and put forward any constructive proposals. Cosla, Scotland’s local government association, thanked the Greens for their support in the budget negotiations with the government. The first stage of the vote consisted of a total of 125 votes, 67 for and 58 against, with one MSP abstaining. The second stage will begin in mid-late February.